It will soon feel natural for your child to raise their arms and grab the safety grip chains and swing and bounce on the buoy ball swing. Buoy ball swings give children more flexibility than the traditional swing. Kids can swing left, right and twist. A buoy ball swing also stimulates the imagination and develops body strength in children. This buoy ball can be inflated to many different sizes too. Let your child's imagination grow and create lifelong memories today. 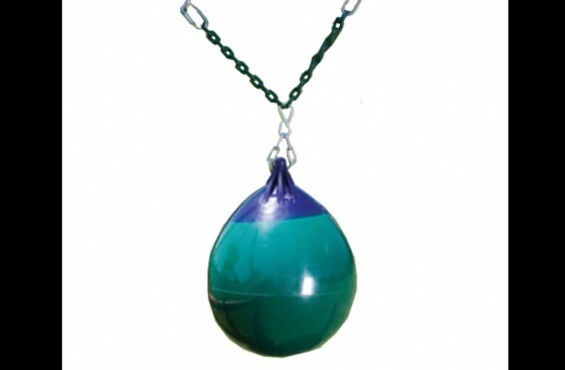 You can easily and securely attach the buoy ball swing on most swing set beams. 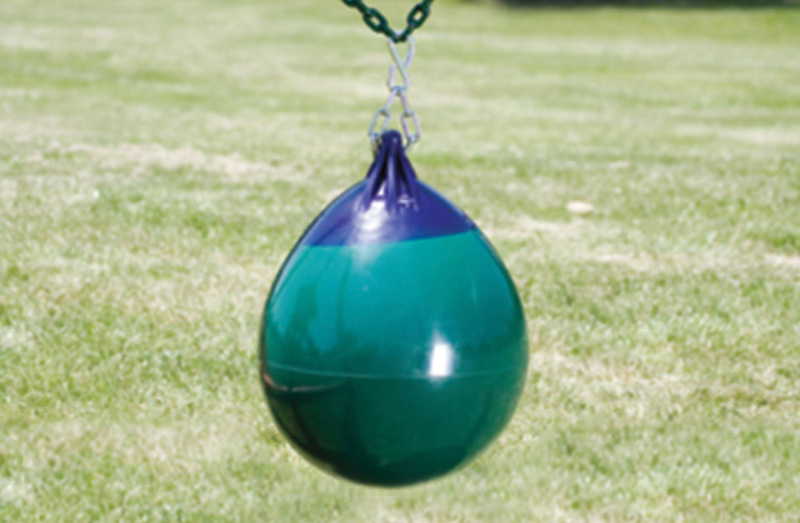 If your child is starting to get bored with your swing set, adding a buoy ball will add a whole new level of excitement. As an ASTM safety member, we go above and beyond the industry standards to ensure your child's safety. The swing chains are coated with Plastisol to eliminate pinched fingers and to provide extra grip during play. The quality construction is designed to handle many years of abuse. To prove our commitment to quality, this buoy ball is backed by a 3-year warranty. Material: Chain is coated with Plastisol which minimizes pinching hazards.